There are a number of things that help with reducing your overall stress. But, during high stressful moments it’s difficult to remember how to stay calm without the right tools. It’s all too easy to reach for something that isn’t healthy, just because its convenient. And it relieves the issue for a little while. That’s why creating a stress relief kit is something I really believe we all should have on hand! Stress is as much a part of our lives as our jobs, children, or pets. We know how to manage these other things (at least, somewhat), so being prepared for when stress hits allows you to face it without falling back on unhealthy coping habits. How Does a Stress Relief Kit Help? A stress kit helps set you up for success. Think about when you’re really hungry and you’re heading home from work and pass by a fast food restaurant. Temptation is all too strong, especially if you know there isn’t any food at home. Our lives are crazy busy, so we often lean towards what’s easy and convenient. If you had already prepped your meals for the week and knew exactly what you were having for dinner, the temptation to go off plan wouldn’t be as strong. You’d be much more likely to stick to your healthy diet, and the same thing goes for a stress relief kit. When you have a reliable source that you know will keep your stress levels in check, you’ll be far better equipped to handle it properly. 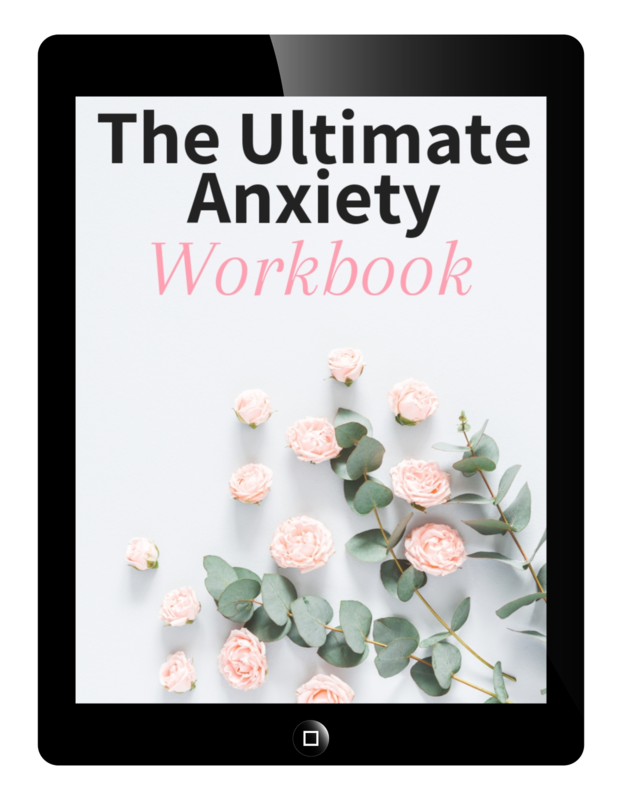 A stress relief kit is a great resource that can improve your stress management skills and give you the confidence you need to push through tough moments in your life. How Do You Create a Stress Relief Kit? Below I listed some of the best items to keep in your stress relief kit and why they’re important. If you have a healthy go-to that helps with stress, then definitely add it to your own kit! I wouldn’t recommend adding too much of an unhealthy coping strategy (like alcohol, comfort food, cigarettes, etc.) just because these things are more of a crutch. However, if you find drinking a glass of wine and eating a piece of chocolate helps you unwind and relax, then it’s ok to add them in occasionally. It’s all about a finding balance and taking care of yourself. That sometimes means taking a time out and having some chocolate! Especially if it’s not usually a part of your daily routine. Here are some items I think would be great to add to your own stress kit. Essential oils come from nature, like trees, flowers, or leaves. They have a lot of benefits, and some can help relieve stress. The smell of some essential oils can give you a calming feeling and improve your mood. I love using essential oils to help calm me down and bring me back to earth when I’m stressed. My absolute favorites are eucalyptus and lavender. I typically drop a little in a warm bath or dot my wrists with a little eucalyptus when I’m going out and about. Ok, I know this sounds odd. But, there have been many times in my life when I wanted to just break something. Stress builds up and makes us literally feel like we’ll explode. I’ve found that either using a punching bag or taking a hammer to some old plates can improve my mood. If you find breaking plates to be too weird (or messy), then a classic stress ball can help relieve tension, too. When I moved into my last apartment, my landlord left a welcome package. Inside was a box of Yogi’s Lavender Stress Relief tea and it has helped unwind after many stressful days! Yogi’s comes in a bunch of different flavors, but I personally like Lavender the best. Tea in general can help you relax and is very beneficial if you’re feeling under the weather. It’s always good to have a box on hand, just in case! When your stressed, your body suffers. Your tense neck and shoulder muscles need a break! This one has eucalyptus in it, and you can choose to add other essential oils if you want. Bath salts are a great addition to the stress relief kit. Taking a nice hot bath is an awesome way to wind down, and the bath salts will help relax the rest of your body. Yep, even chocolate is a good addition to your stress relief kit! Dark chocolate, more specifically. It’s proven to reduce stress, improve your heart and brain health, and fight disease. Chocolate can do all that?? Yep! And consuming dark chocolate once a day for 2 weeks will lower the cortisol (or “stress) hormone and your fight or flight response. A word of caution… don’t go overboard. A 1.4 ounce bar is the recommended daily amount. Stress can cause a number of health issues, including break outs and skin issues. The right face mask is a win-win for both. The next time you take a bath with your bath salts and essential oils, throw on a face mask and you will feel all of the stress disappear from your body. Face masks that are all natural are usually the best bet. You could even make one at home if you want! Writing in a journal is my favorite thing to do when I’m stressed or anxious. It helps relieve stress by getting all your thoughts, ideas, and to-do lists out of your head and into the real world. No one besides you has to see it but getting your thoughts out is very therapeutic. Visually seeing your problems will help you start learning how to solve them. If you have a lot of stuff to get done, using a journal is a great way to reduce procrastination and increase productivity. This can either be your favorite books, or new self-improvement books you’ve been meaning to read. Reading has always helped me feel more confident in dealing with my own life. Whether it’s a fiction or non-fiction book, I enjoy the change of perspective. Reading can also help you focus on something else other than your stress. The last one is a coloring book, if reading isn’t really your thing. I love that coloring book, and who doesn’t want to feel like a kid again—with an adult twist? You might also find a storage box useful for all of your items. This one provides a lid and enough space to store everything, keep in your closet, and take out whenever you need to! Do you have any questions or comments? Leave them below!